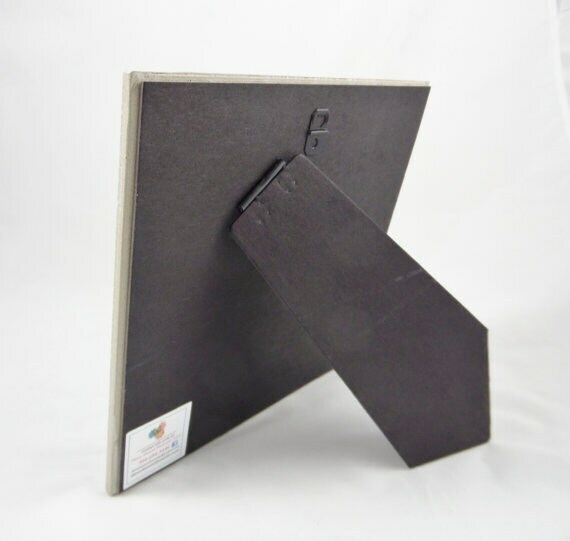 We have several of these made up and ready to ship. Place your order by noon today and it will ship today. After noon, it will ship tomorrow. 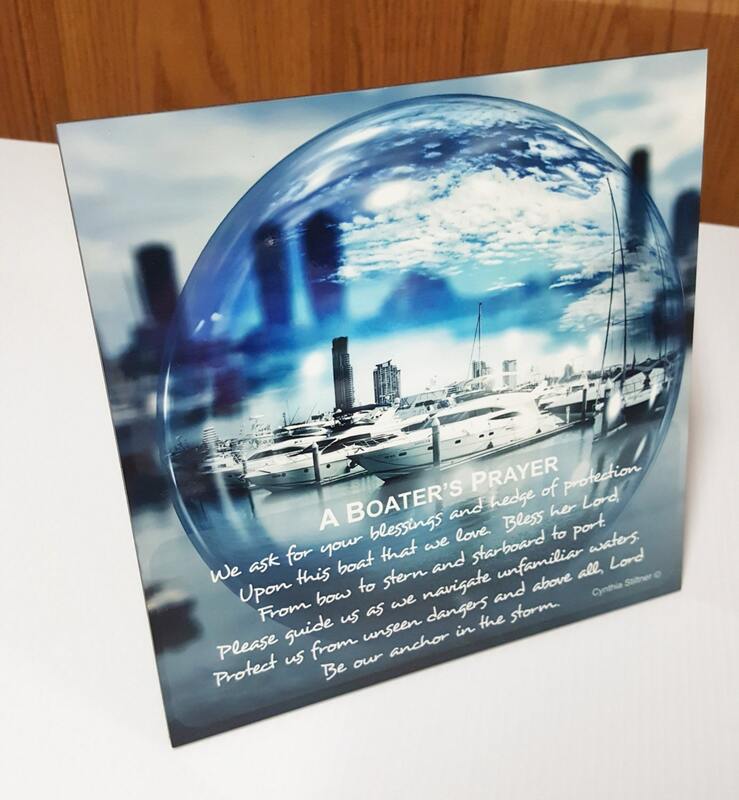 This beautiful Boater's Prayer is a perfect gift for those who love boat life and the boating world. 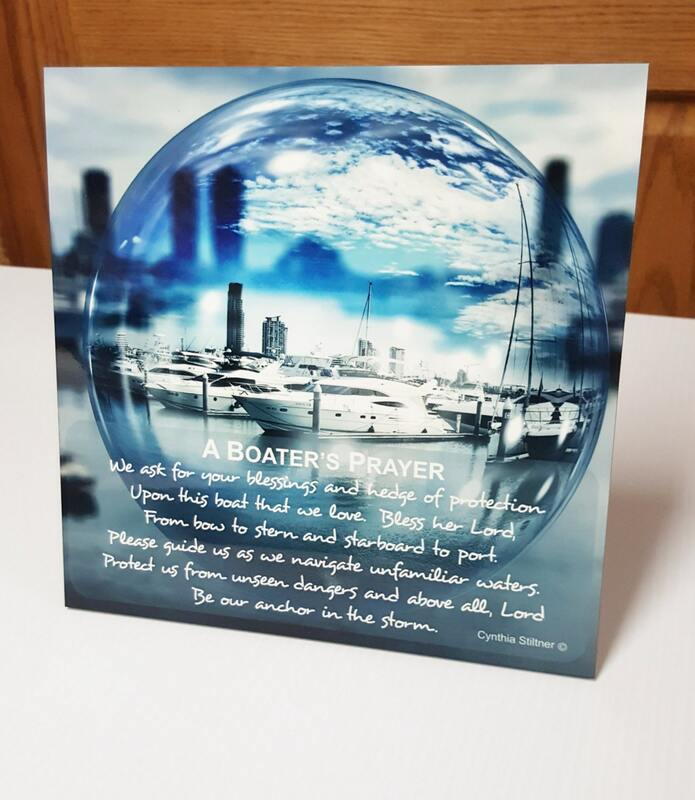 An elegant accent to any marina decor and a lovely gift for a boat owner. This piece features an original, copyrighted verse by Cynthia Stiltner. Three Dames Dreamin' holds the exclusive license to use her work on our products. 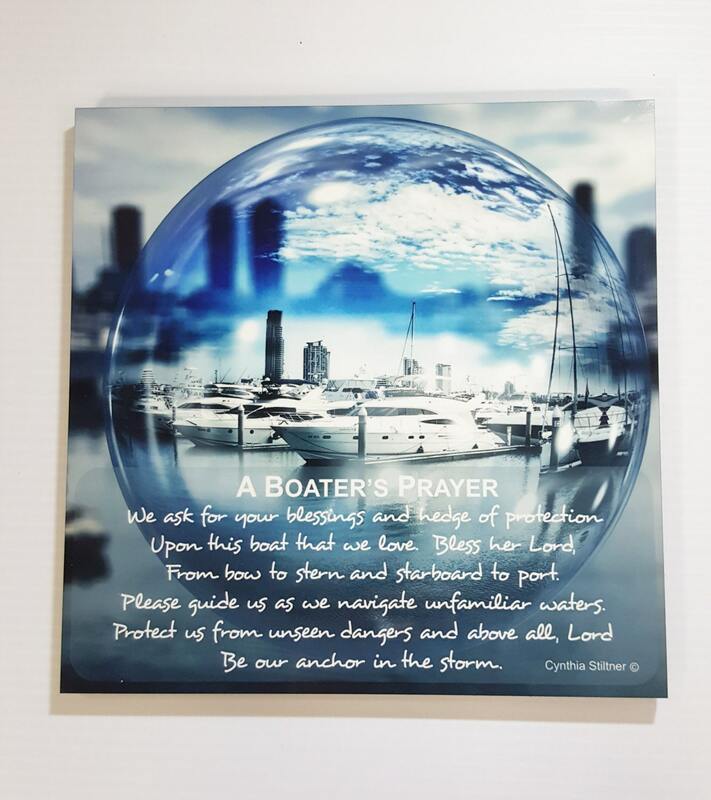 The Boater's Prayer measures 8x8 and comes with an easel back (see fifth picture in listing). 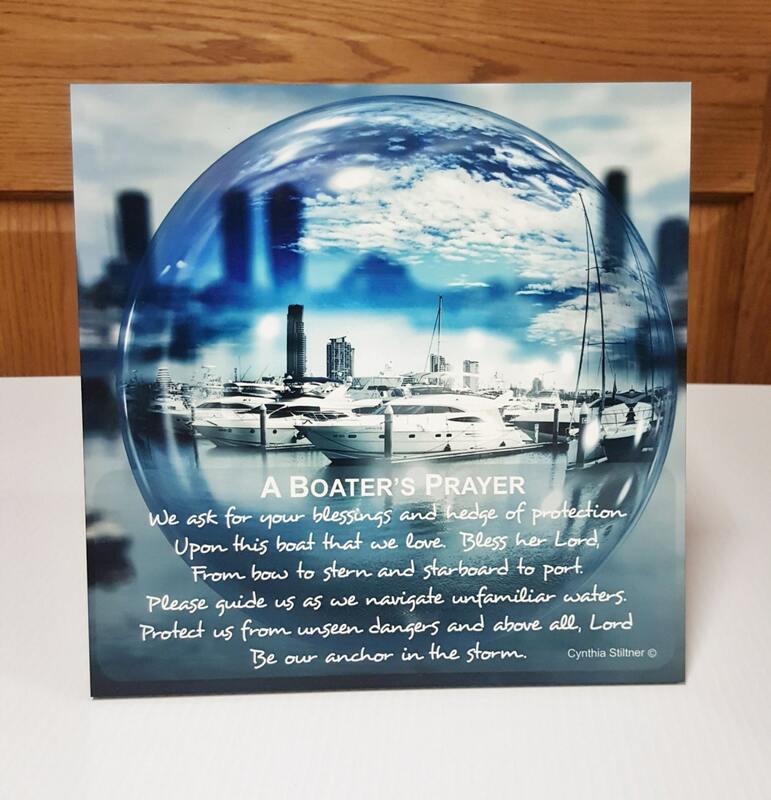 The easel back allows the Boater's Prayer to be set on a shelf or hung on the wall without needing to purchase an accessory. To see other prayers that we currently offer, please click on the following link.